1. Does custody always go to just one parent? In every state, courts are willing to order joint legal custody, but about half the states are reluctant to order joint physical custody unless both parents agree to it and they appear to be sufficiently able to communicate and cooperate with each other. In Idaho, New Mexico, and New Hampshire, courts are required to award joint custody except where the children's best interests--or a parent's health or safety--would be compromised. These 20 States expressly allow their courts to order joint custody even if one Parent objects to such an arrangement: AK, AZ, CA, CO, FL, IL, IN, IA, MA, MI, MN, MS, MO, MT, NE, NH, NJ, OH, OK and WI (South Dakotal and Utah also possibly fit within this group). 2. Can someone other than the parents have physical or legal custody? Sometimes neither parent can suitably assume custody of the children, perhaps because of a substance abuse or mental health problem. In these situations, others may assume temporary custody of the children under a court-ordered guardianship or foster care arrangement. 3. What factors do courts take into account when making custody and visitation decisions? The court will normally favor the parent who will best maintain stability in the child's surroundings. There is no set standard as to what constitutes "stability," but a judge looks for continuity in a child's life. To the degree possible, a judge will try to maintain a child's school, community, and religious ties. The child's age, gender, mental and physical health. Mental and physical health of parents. Lifestyle and other social factors of the parents, including whether the child is exposed to second-hand smoke and whether there is any history of child abuse. The love and emotional ties between the parent and the child, as well as the parent's ability to give the child guidance. The parent's ability to provide the child with food, shelter, clothing and medical care. The child's established living pattern (school, home, community, religious institution). The quality of school which is particularly important if one parent wishes to move a child out of the area. 4. Are there special issues if a gay or lesbian parent is seeking custody or visitation rights? In a few states, including Alaska, California, District of Columbia, New Mexico and Pennsylvania, a parent's sexual orientation cannot in and of itself prevent a parent from being given custody of or visitation with his or her child. As a practical matter, however, lesbian and gay parents--even in those states--may be denied custody or visitation. This is because Judges, when considering the best interests of the child, may be motivated by their own or community prejudices, and may find reasons other than the Lesbian or gay parent's sexual orientation to deny custody or appropriate visitation. 5. Is race ever an issue in custody or visitation decisions? The U.S. Supreme Court has ruled it unconstitutional for a court to consider race when a non-custodial parent petitions for a change of custody. In one case, a white couple had divorced, and the mother had been awarded custody of their son. She remarried an African American man and moved to a predominantly African American neighborhood. The father filed a request for modification of custody based on the changed circumstance that the boy was now living with an African American man in an African-American neighborhood. A Florida court granted the modification. The U.S. supreme Court reversed, ruling that societal stigma, especially a racial one, cannot be the basis for a custody decision. Palmore v. Sidoti, 466 U.S. 429 (1984). 6. Are mothers more likely to be awarded custody over fathers? In the past, most states provided that custody of children of "tender Years" (about five and under), had to be awarded to the mother when parents divorced. This rule has been rejected in most states or relegated to the role of tie-breaker if two fit parents request custody of their pre-school children. Only South Carolina and Tennessee continue to carry the tender years doctrine in their statutes. Most states require their courts to determine custody on the basis of what's in the children's best interests without regard to the age of the child and gender of parents. And Equal or shared parenting is becoming more common as more fathers exert their rights to custody of their children. The parent with physical custody is generally in control regarding what is reasonable. This need not be bad if the parents cooperate in making sure the kids spend a maximum amount of time with each parent. Unfortunately, it often translates into very little visitation time with the non-custodial parent, and lots of bitter disputes over missed visits. To avoid such problems, many courts now prefer for the parties to work out a fairly detailed parenting plan(known as a Parenting agreement), which sets the visitation schedule and outlines who has responsibility for decisions affecting the children. Yes. Custody and visitation should not be confused with child support. Every parent has an obligation to support his/her children. When one parent has visitation rights (but not physical custody), he or she is usually ordered to pay some child support to the other parent. 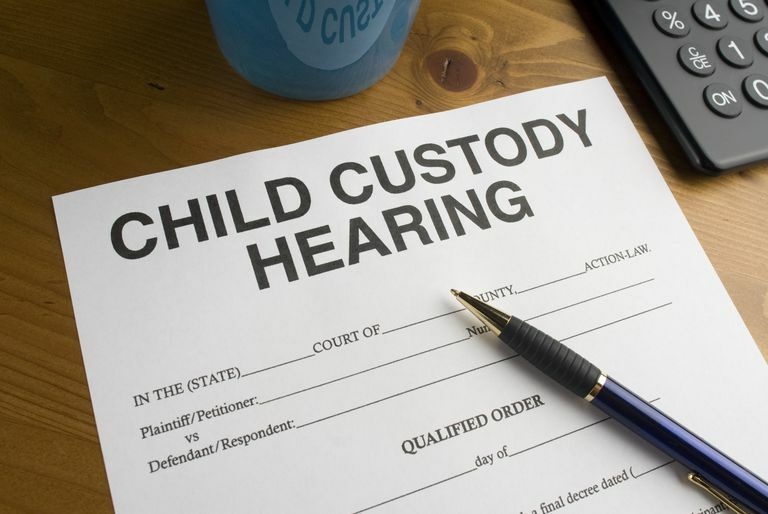 The parent with physical custody is ordered to meet the visitation rights through the custody order itself. With one narrow exception, no state allows a parent to withhold visitation because the other parent owes support, or to withhold support because of disputes over visitation. The exception? If the custodial parent disappears for a lengthy period so that no visitation is possible, a few courts have ruled that the non-custodial parent's duty to pay child support may be considered temporarily suspended. All states and the District of Columbia have enacted a statute called the Uniform Child Custody Jurisdiction Act, which sets standards for when a Court may make a custody determination and when a court must defer to an existing determination from another state. Having the same law in all states helps standardize how custody decrees are treated. It also helps solve many problems created by kidnapping or disagreements over custody between parents living in different states. No other state can meet one of the above three tests, or a state that can meet at least one test has declined to make a custody decision. If a state cannot meet one of these tests, the courts of that state cannot make a custody award, even if the child is present in the state! In the event more than one state meets the above standards, the law specifies that only one state may make custody decisions. This means that once a state makes a custody award, any other state must keep its hands off the matter. In most states, it's a crime to take a child from his or her parent with the intent to interfere with that parent's physical custody of the child (even if the taker also has custody rights). This crime commonly is referred to as "custodial interference." in most states, the parent deprived of custody may sue the taker for damages, as well as getting help from the police to have the child returned. I've heard that mediation is the best approach to solving child custody matters. Things are so bitter between my ex and me that it's hard to see us Sitting down together to work things out. How can mediation possibly work? Mediation is often used to help a divorcing or divorced couple work out their differences, especially over custody and visitation disputes. Some divorce attorneys and mental health professionals employ mediation as part of their practice. Several states require mediation in custody and visitation disputes and a number of others allow courts to order mediation. In California and a few other states, if the parties do not reach agreement, the mediator is usually asked by the court to make a recommendation. In most states, however, the mediator plays no further role if the parties can't agree. Mediators are very skilled at getting parents who are bitter enemies to cooperate for the sake of their children. The more parents can agree on the details of co-parenting, the better it will be for them and their children. Mediators are skilled at getting the parents to recognize this fact and then move forward towards negotiating a sensible parenting agreement. If there is a history of abuse or the parents initially cannot stand to be in the same room with each other, the mediator can meet with each parent separately and ferry messages back and forth until agreement on at least some issues is reached. At this point, the parties may be willing to meet face to face. Under what circumstances can custody orders be changed within the state where they were obtained? After a final decree of divorce is filed with a court, former spouses may agree to modify the custody or visitation terms. This modified agreement may be made without court approval. If one person, however, later reneges on the agreement, the other parent may not be able to enforce it unless the court has approved the modification. Thus, it is generally advisable to obtain court approval before relying on such agreements. Courts usually approve modification agreements unless it appears that they are not in the best interests of the child. Geographic move: If a custodial parent geographically relocates a substantial distance, the move may constitute a changed circumstance that justifies the court's modification of a custody or visitation order to accommodate the needs of the non-custodial parent. Some courts switch custody from one parent to the other, although the more common approach is to ask the parents to work out a plan under which both parents may continue to have significant contacts with their children. Change in lifestyle: Changes in custody or visitation orders may be obtained if substantial changes in a parent's lifestyle threatens or harms the child. If, for example, a custodial parent begins working at night and leaving a nine year old child alone, the other parent may request a change in custody. Similarly, if a non-custodial parent begins drinking heavily or taking drugs, the custodial parent may file a request for modification of the visitation order. What constitutes a lifestyle sufficiently detrimental to warrant a change in custody or visitation rights varies tremendously depending on the state and the particular judge deciding the case. For instance, cohabitation by a parent may be ignored in one state, but not another.